Bambeenies strive to make our classes fun, friendly and educational in an environment where everyone feels welcome and included. As a parent of 3 herself, Jenny knows only too well how hard it is to step into the world of parenthood. The beginning of a learning curve for you as parents brings the beginning of a lifetime of learning for your little ones. Bambeenies is here to help empower you as parents and allow your children to grow and flourish. 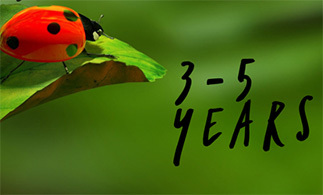 In a time where everyone’s lives are becoming busier and some days the pressures of life can be overwhelming, we will help you find space and time to have quality play with your child, to connect with other parents and all in an environment that supports the development of your child’s social, physical, language and cognitive skills. 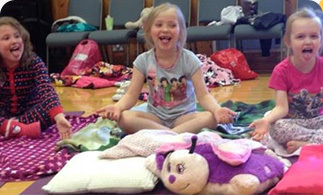 Bambeenies founder and class instructor in Shetland, Jenny Teale, has over 18 years experience working with children. 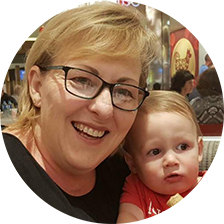 Having three of her own and having taught and developed numerous classes for babies, toddlers and older children you know you are in safe hands. Her enthusiasm for children and their development is infectious and as she passes her knowledge and passion on to the instructors around the country you know you are going to be extremely well looked after in each and every class. So, why would you choose a Bambeenies class? The answer is clear, we have created classes that can meet not only all your child’s needs but also yours as a parent. Enjoy meeting parents with children at the same stage as you and your little one, and allow your child’s social skills to develop through interaction with other children and by mirroring your social interactions with other parents. Take part in classes as soon as you feel ready. 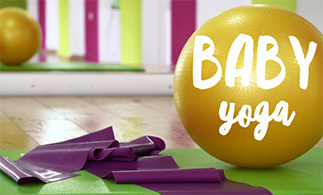 We start our Bambeenies class from birth allowing you the freedom to get started right away. This can allow Dads and other carers a chance to join in at an early stage too. Bambeenies classes are open to all caregivers in the child’s immediate circle allowing them to be part of the learning experience. We love when dads, grannies, aunties come along to class too. 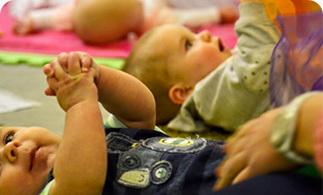 As the child progresses to our Teenie Beenies and Big Beenies classes you can enjoy the creative and imaginative sessions which are different each week with the exception of our ‘Hello’ and ‘Goodbye song’ which create continuity between classes for your child. They will soon recognise and initiate the actions that accompany each song. Learning then continues at home as many parents tell us they have to sing the hello song every morning with their child or that the goodbye song is the only few minutes of still and calm they get as the child watches the online version or sings their own rendition for the parent. 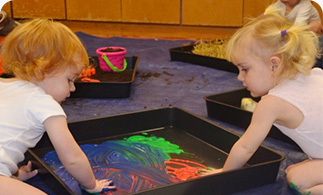 These classes also see the introduction of our messy play trays. Getting messy and exploring the new and exciting textures and colours each week is a great way for your child to enjoy sensory experiences with none of the cleaning up for you! Let us deal with the clear up so you can relax and enjoy supporting them in having fun and getting messy!! Messy play hosts many benefits to your child’s development from hand eye coordination to self expression and emotional regulation. It can also aid baby led weaning and encourage less fussy eating patterns all through what looks like just messy fun! Jenny is mum of three, 16 year old Imogen, 14 year old Sonny and 12 year old Marley. Jenny is the founder of Bambeenies and a class instructor in Shetland. Jenny has over 18 years of experience in teaching children in a variety of different settings. Jenny is also a registered fitness instructor with specialist qualifications in ante/post natal exercise, a qualified baby massage and yoga instructor and currently completing her Cosmic Kids Yoga training for older children. 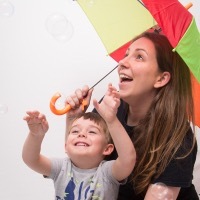 Jenny has taught and developed numerous classes for babies, toddlers and children. Her confidence and enthusiasm will ensure you feel at ease, relaxed and ready to enjoy the fun. Marina is our assistant instructor in Shetland. Marina is a mum of three, 10 year old Zander and 8 year old twins Reuben and Jessie. Just like their mum, they’re a handful of mischief and fun! Over the last 18 years, Marina has worked in variety of care settings, caring for both children and the elderly. Her passion lies in working with young children as she loves to watch as they learn and develop into their own little people. It’s fair to say that Marina gets just as excited as the children when it comes to certain activities! Denise is the newest member of the Bambeenies team join us in June 2018. 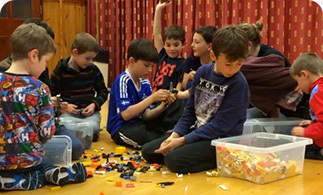 She moved to Shetland 2 years ago from Perth, Western Australia.She describes the highlights of her life revolve around children, her family, her home and in learning environments for children of all ages. She has worked in various child based environments and has a vast amount of knowledge and experience to share with the team and all our lovely families.